The National Volleyball League comprises four divisions. The top division in the league is the Volleyball England Super League. The format of the Super League sees each team play each other once and then the division splits in two. Key: (C) Champions, (P) Promoted, (R) Relegated. 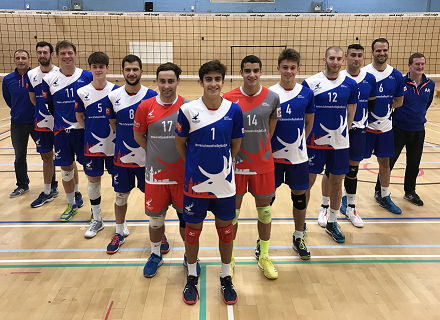 RVB works closely with Kingston University London (KUSports) and awards scholarships for talented players studying at the University each year the opportunity to train and compete for Richmond VB in the Volleyball England’s National League. To be eligible players will need to have played or competed at top regional, national or semi-professional levels (UK or aboard). If you need more information, send your enquiry to men@richmondvolleyball.co.uk. Away matches are played on Saturdays and Sundays, time varies.